Pack of 5 Premium Compatible CANON PGI-570XL/CLI571 Ink: PGI-570XL Black x 1, CLI-571XL Black x 1, CLI-571XL Cyan x 1, CLI-571XL Magenta x 1 and CLI-571XL Yellow x 1. Premium Remanufactured Canon PG540XL Black x1, CL541XL Colour x1 ink cartridges. 2 Pack including a black and colour cartridge with ink volumes of 21ml for the Black and 15ml for colour. Pack of 4 Compatible EPSON 29XL (T2996) ink cartridge multipack: T2991 Black x 1, T2992 Cyan x 1, T2993 Magenta x 1 and T2994 Yellow x 1. Premium Compatible Multipack of EPSON 18XL. 20 Ink cartridges: T1811 Black x 5, T1812 Cyan x 5, T1813 Magenta and T1814 Yellow x 5. Compatible HP 302XL Black & Colour Premium High Capacity 2 Pack. 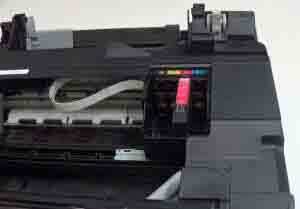 Two cartridges including Black and Colour with Ink Volume: 480 Pages Black, 330 Pages Colour. 20 Pack Premium Compatible EPSON T1285 Inks: T1281 Black x 5, T1282 Cyan x 5, T1283 Magenta x 5 and T1284 Yellow x 5. Pack of 5 Premium Compatible Epson 33XL (T3357) high capacity, ink cartridge multipack: T3351 Black x 1, T3362 Cyan x 1, T3363 Magenta x 1, T3364 Yellow x 1 and T3361 Photo Black x 1. Pack of 20 Premium Compatible Epson T0715 ink. T0711 Black x 5, T0712 Cyan x 5, T0713 Magenta x 5 and T0714 Yellow x 5. 20 Pack of Premium Compatible EPSON 16XL Ink Cartridge Multipack: T1631 Black x 5, T1632 Cyan x 5, T1633 Magenta x 5 and T1634 Yellow x 5. Pack of 12 Premium Compatible BROTHER LC223 Inks: LC223 Black x 5, LC223 Cyan x 5, LC223 Magenta x 5 and LC223 Yellow x 5. 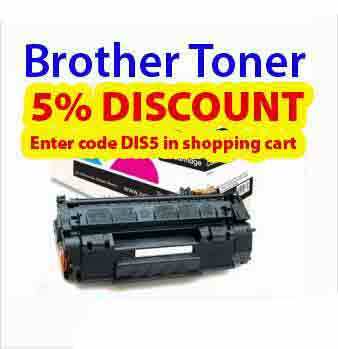 TN-2010 Compatible Brother Toner cartridge black with an Ink Volume: 1000 pages. 2 Pack Of Compatible HP83A (CF283A) Premium Quality Laser Toners. Colour:	Black and Ink Volume: 1,500 Per cartridge. Compatible HP80X (CF280X) High Capacity Premium Quality Laser Toner with an ink volume of 6900 pages. 3 Pack Of Compatible HP78A (CE278A) Premium Quality Laser Toners. Premium Compatible Brother TN-326 B/C/M/Y including the TN-326 Black x 1, TN-326 Cyan x 1, TN-326 Magenta x 1 and TN-326 Yellow x 1. Premium Compatible HP12A Toner - 2 Pack ( Q2612A ) Standard Version 2000 Pages. Epson Workforce WF-5190DW is a single-function business printer that lowers printing costs up to 50% and energy consumption up to 80%. The high-capacity XL Epson Workforce WF-5190DW ink cartridges further contribute to a reduction in the print costs. Other significant features the printer includes are fast printing speed, automatic duplexing and excellent output quality. The printer weighs 11.4 kg and measures 461‎ x 442 x 284 mm (Width x Depth x Height). Impressively, the device is faster than a laser printer. It prints at a speed of 20 ppm for black and white as well as colour. Even the image and text quality of the printer is superior. Paper handling capacity is high with the 250-sheet main paper tray and an additional 80-sheet tray. Wireless connectivity is supported with built-in WiFi and WiFi Direct. Epson Connect lets you print directly from smartphones and tablets without having to connect to a router. Besides, the printer operates quietly without emitting ozone gases. It runs well with Windows and Mac PCs. Epson Workforce WF-5190DW is only a printer but with robust printing capability. It saves on inks and saves on energy as well. Automatic duplexing saves a bit more by not wasting pages. Print speed and print quality is impressive and matches the requirement of an office environment. 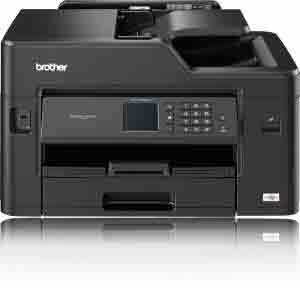 If your need is confined to printing, this could be a perfect choice - even over a laser printer. How to fix paper jam issues in Epson Workforce WF-5190DW Printer? If your printer encounter printer jam error while printing and you are unable to remove the paper from the machine or the paper gets stuck inside the printer. Follow the steps below to get rid of such jamming issues. Firstly, you need to cancel all the printing jobs that are currently in progress. Make sure you close the output tray. Remove the paper out from the cassette. Now, carefully remove the jammed paper from the product. Follow the paper loading instructions from the user manual to load the paper in the tray. Keep the paper cassette flat and insert it gently in the product. Check the error prompts on the LCD screen and clear the error messages. If still there is a paper jam error on the screen, check the other issues that can jam the paper and follow them accordingly. How to continue printing when colour Epson Workforce WF-5190DW ink cartridges get extended? Note: To use this feature, you must enable the Epson Status Monitor. Click on stop or cancel button to cancel the current print job. Note: If you see any message on the screen, you must cancel all the printing jobs using the product control panel. Load the plain paper in the printer. Open the print settings in print application. Click on the main tab and choose the appropriate paper type for printing like plain/white paper or envelope, etc. Select the black or grayscale mode checkbox and click OK.
Epson Status Monitor 3 shows a print message, now you can print the document. Click on ‘print in black’ to print the document. Thus, one can print the documents by using the black ink, when the coloured one get expires by following the steps mentioned above. We recommend replacing the extended coloured Epson Workforce WF-5190DW ink cartridges as soon as possible for future printing. Q. Does Epson WF-5190DW support automatic double-sided printing of documents? A. Yes, the printer does support automatic double-sided printing and save time on printing of photos. It reduces the overall printing and running costs. Q. I am looking for a printer with an efficient printing speed. Can I go for Workforce WF-5190DW to use it for my office purpose? A. Yes, buying this printer for a busy office is a smart choice. The printer prints at a speed of up to 34ppm in mono and 30ppm in colour. The printer delivers top quality prints at competitive speeds. The paper capacity is 580 sheets which keeps refilling time to a minimum. The 35,000 pages monthly duty cycle allows users to print with peace of mind. Q. What would be the expected prize if I buy a multipack of Epson Workforce WF-5190DW ink cartridge from your site? A. The cost of a compatible ink cartridge is relatively low in comparison to the original brand. If you buy a multipack of 5 Epson Workforce WF-5190DW ink cartridges from our website, it will cost €28.99 Exc. VAT. Buying multipack will save more money as buying them individually. Q. Can I expect smudge-free and durable printouts from WF-5190DW printer? A. The Epson printer uses DURABrite Ultra Ink in the Epson printer to get smudge-free and water-resistant prints that are more durable in nature from the conventional dye-based inks. Q. I purchased the Epson Workforce WF-5190DW ink cartridges from your website and need help with the installation process. Can you provide the necessary support? A. Yes, you can contact us anytime with the concern related to your purchase. We will be glad to help you. You just need to get ready with the details regarding the printer and we will provide you relevant details related to the installation process. You can also ask for help on 048 308332211 or can email us on info@printerinkcartridges.ie.